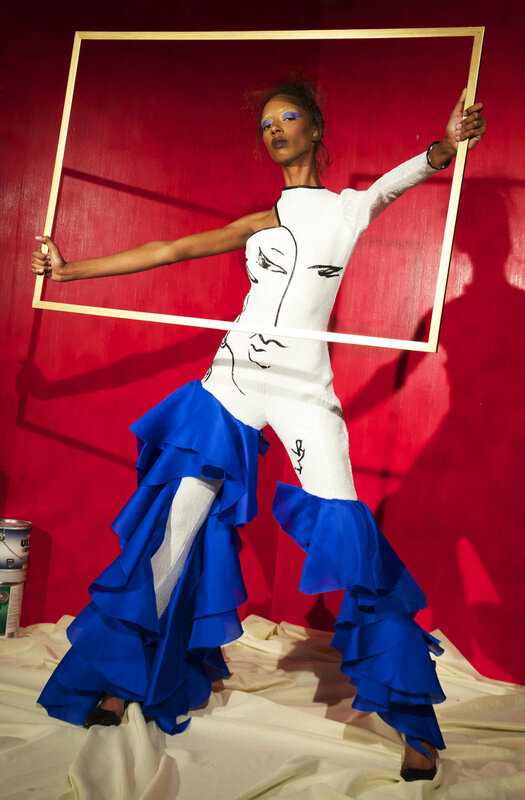 In this six-look collection, I looked for inspiration from Pablo Picasso, a 20th century artist whose work changed and influenced how people saw art. I was inspired by celebrity faces and the deeper meaning of the human existence. This universe and my point of view are consistently translated throughout the collection.